January is the perfect time for exhibitions and trade fairs. If the trade fair site is at a considerable distance from your home, you have to spend a lot of time at that place. Moreover, you also need to make your visitors comfortable. So, you carry all the essential items you use daily and drive your pickup truck to the fair. You don’t want your visitors to stand while you explain how your new water purifier works. But, you cannot carry wooden, wrought-iron or even plastic chairs. Wooden furniture is heavy and plastic furniture consumes unnecessary space. Carry inflatable furniture to offer your visitors optimum experience. 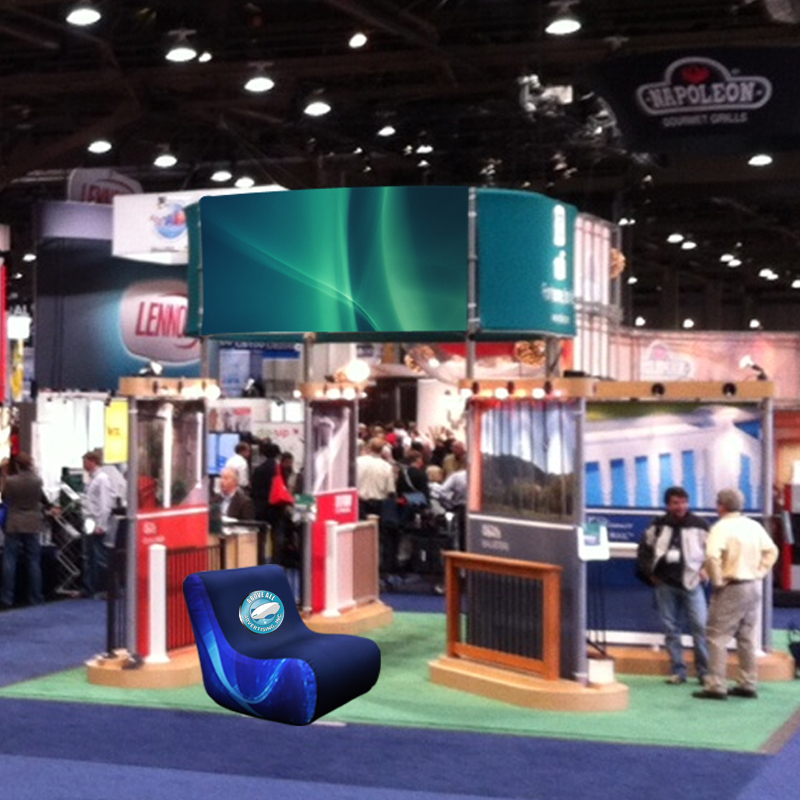 What are the advantages of using inflatable furniture at trade shows? You can find all sorts of inflatable furniture in the market. You can also order for customized furniture. You can decide the color, material, shape, size, and prints on the furniture. Inflatable furniture designers use their talent and offer you furniture as per your orders. Almost all of us have a beanbag or some other sort of inflatable chair at our homes. But, if you think a justify, this type of furniture can be very helpful, if you go for an outing or are always on the move. Last year, my friend, Nelson participated in a trade fair with his family. The family of 5 carried enough stuff for themselves and their visitors. They had carried tents, sleeping bags, utensils, barbeque and everything necessary to spend an entire week in the open. But, I wondered how they would manage at the expedition. I did not see them carrying any furniture. Not even a chair for old Mrs. Nelson. After all, you cannot spend the entire day standing and running around. On their return, their snaps illuminated me. The Nelsons had carried inflatable furniture to the trade fair. These types of furniture are easy to inflate. There is an opening on the furniture’s body, which needs to be pumped. A small hand-pump makes your work easy as you don’t have to blow into the chair or table you are trying to inflate. Once, the furniture attains the desired dimension you can remove the pump’s nozzle and button up the opening on the lower part of the furniture. If you want to deflate them, just loosen the button covering the opening of the furniture and there you go. Inflatable furniture is both easy to carry and come in handy wherever you go. does not take up much space, easy to inflate and deflate. What are you thinking? 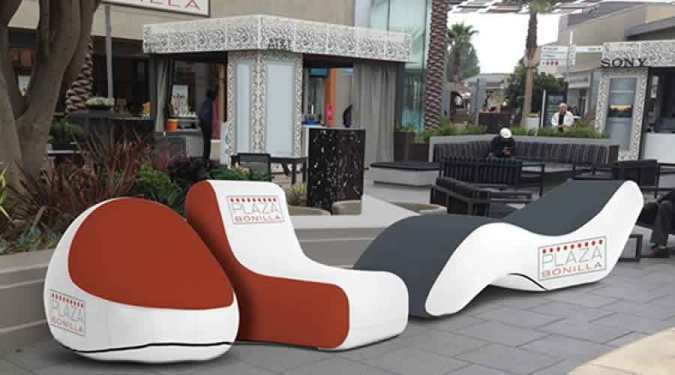 Go ahead and order customized inflatable furniture for this year’s trade fair.